Phrasal verbs are an important part of the English language. This guide focuses on separable and inseparable phrasal verbs and exactly how to use them. There are no complicated explanations or boring rules listed (you can open any textbook for those!). 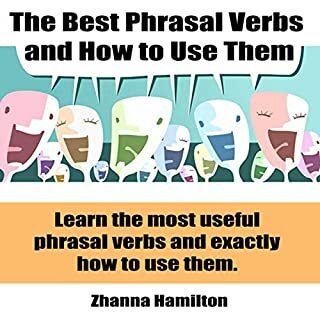 Instead, each phrasal verb has a short definition that focuses on only one meaning (most phrasal verbs have more than one meaning, making them difficult to learn). Every phrasal verb also comes with multiple real life examples on how to use it. 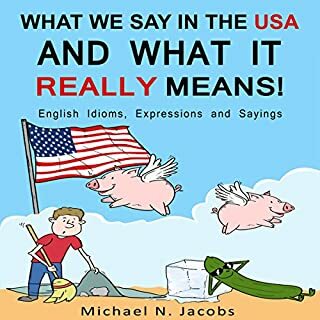 What We Say in the USA and What It Really Means! Anyone who has experienced learning English as a second language knows the many challenges that conversational English presents. Just when you think that you have learned nearly perfect English you find that conversational English is about as far from perfect as it gets. Gone are the days when formality and manners were mandatory. Today, a person's communication skills and charisma are highly dependent in his sense of humor. It may sound crazy, but jokes and insults are effective ways to gain control of social situations, but they must be used with responsibility. 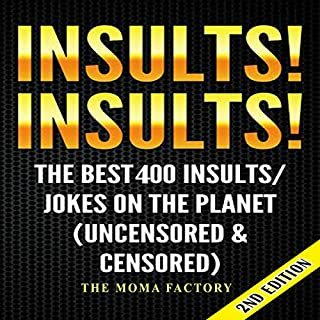 You'll have access to every type of insult: insults for arrogant people, insults for stupid people, ugly people, and more and much more. Do you have a proclivity for using sesquipedalian words? Has your prose become ossified because you haven't augmented your vocabulary lately? Here's the perfect, pedagogical solution. Word Smart, Genius Edition teaches more than 150 of the most captivating and challenging words in the English language. The words you use say a lot about you...but the way you put them together says even more. Your grammar makes an immediate - and lasting - impression on your boss, your co-workers, your teachers, and even your friends. We all use grammar, but many of us could use it better. Grammar Smart is a witty, irreverent, and entertaining approach to grammar to help you write and speak with clarity and confidence. This book presents the most important elements of English grammar in a clear and simple manner. 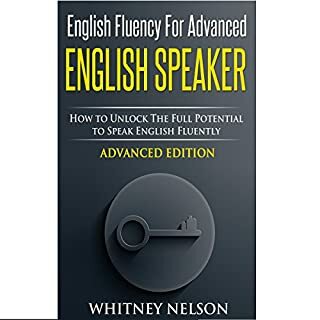 The book addresses all those who want to learn English, regardless of age, offering, through clear explanations and algorithms, a better and faster understanding of English grammar. Each lesson is accompanied by examples and exercises. The book contains 900 exercises. Warning: This book contains content not suitable for children. Learning English through jokes has many practical advantages. 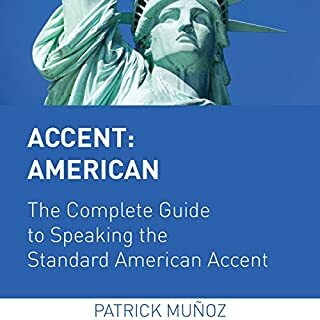 They can be used to learn both spoken and written English because the jokes contain both descriptions of a situation and casual daily conversational English. Another advantage in learning English through jokes is that it helps you understand the culture as well, as they contain situations that reflect on the way of life and mindset of a society, and use casual English like a real native English speaker would, unlike traditional English teaching books that may use phrases that sound too constructed or are too outdated and no longer used. 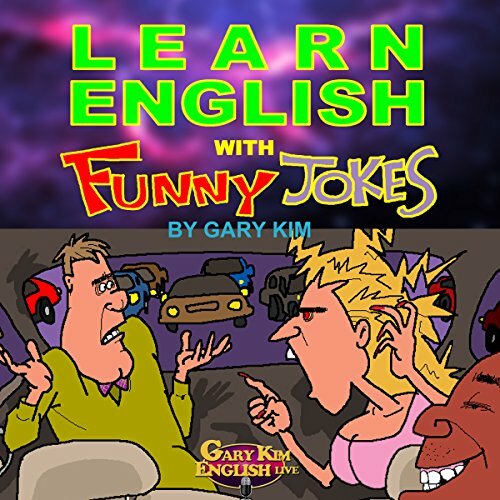 Learn English with Funny Jokes consists of 99 funny jokes by Gary Kim, recorded by a professional voice actor. Each joke will make you roll over with laughter, so you can enjoy the jokes and study English at the same time. If you are learning English as a second language, Learn English with Funny Jokes is a great way to improve your listening, speaking, reading, and writing skills. It is also great for learning and practicing conversation patterns for daily use. 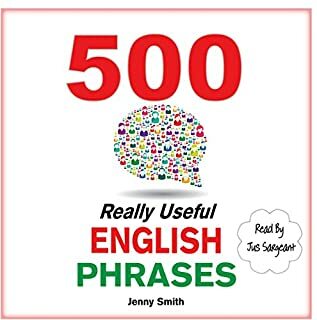 Also included in this book are English sentences for practicing writing, ranging from simple everyday phrases to surprisingly tricky sentences, and conversation patterns that use the same word or phrase in different, practical forms.